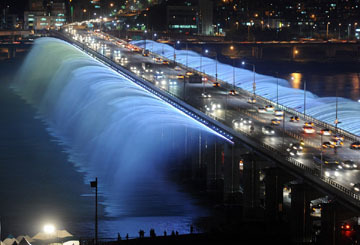 A1 Overseas International provides safe auto transport to South Korea! Get your FREE quote by online form submission or contacting us at 1-800-450-5319! Claiming that international auto transport services from the U.S. to foreign lands are easy would be a dishonest statement. Every country has its own set of rules and stipulations that must be addressed before a vehicle is even allowed to be shipped over. For those trying to transport a vehicle to South Korea, the proper documentation will need to be given to Customs as well as proof for anything else they may request. It is wise to personally contact South Korea Customs for the latest import requirements a month before the scheduled transport. This should allow enough time to fulfill your obligations. Most vehicle shipping methods to other countries are conducted by ship. These ships provide plenty of space for automobiles and cargo containers. They are very efficient for overseas shipping. The overall shipping process will begin when the automobile is dropped off at the proper U.S. port specified by A1 Overseas International. However, many clients will opt for door to door services which require the transport company to retrieve the vehicle for drop off at the port for overseas travel. South Korea Customs will have to approve the vehicle’s transport before the automobile can even be shipped. This is why many auto shipping companies suggest contacting Customs immediately. Not only will customers need to please South Korea’s government laws on auto import and export, but they will need to fulfill the required tasks as asked by the transport company. For a FREE quote and auto transport details such as boat, motorcycle and car shipping, pick up the phone and dial 1-800-450-5319 or fill out our form!